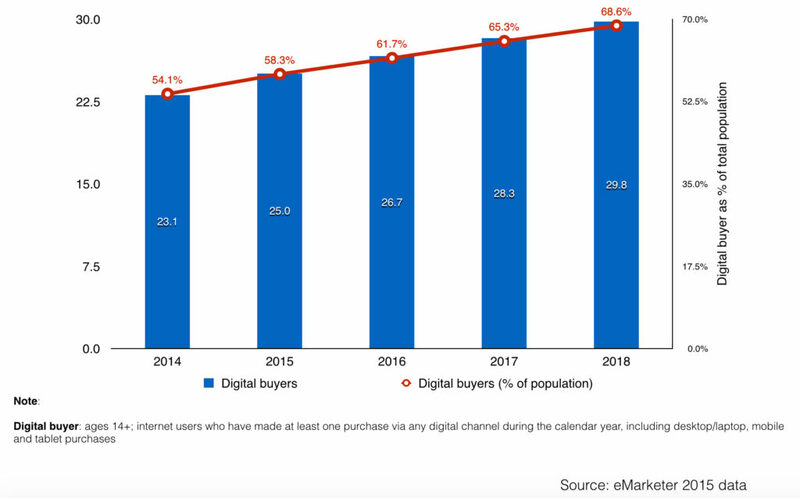 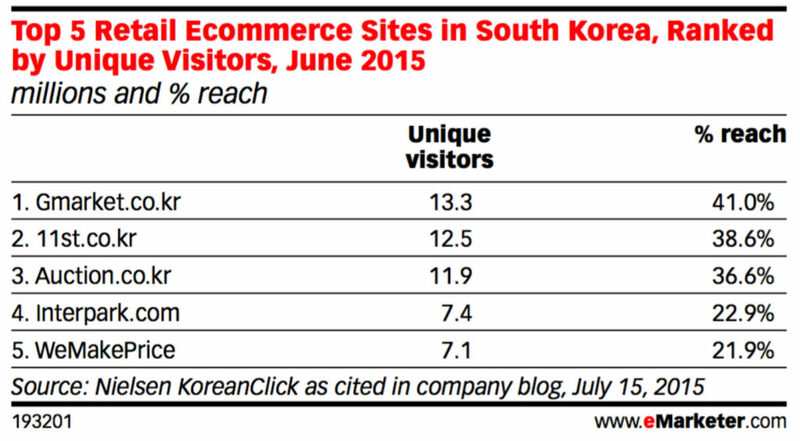 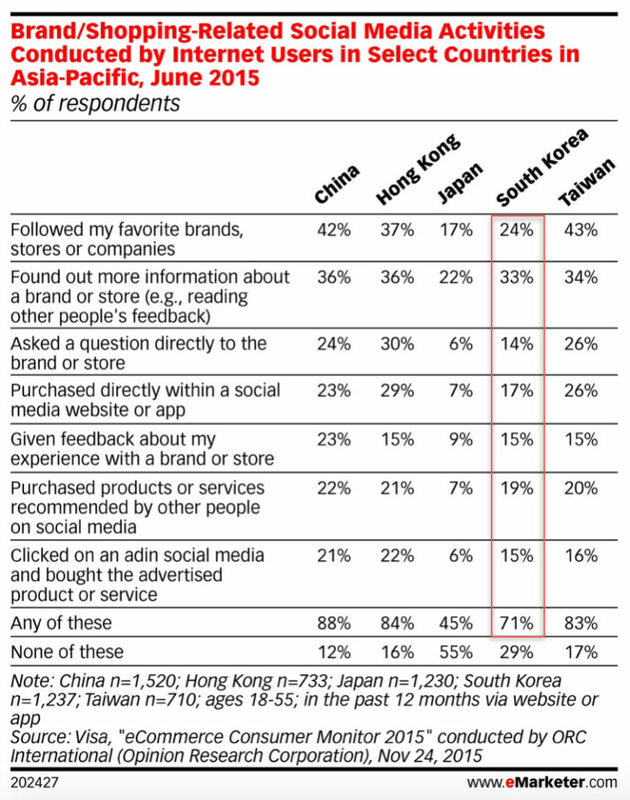 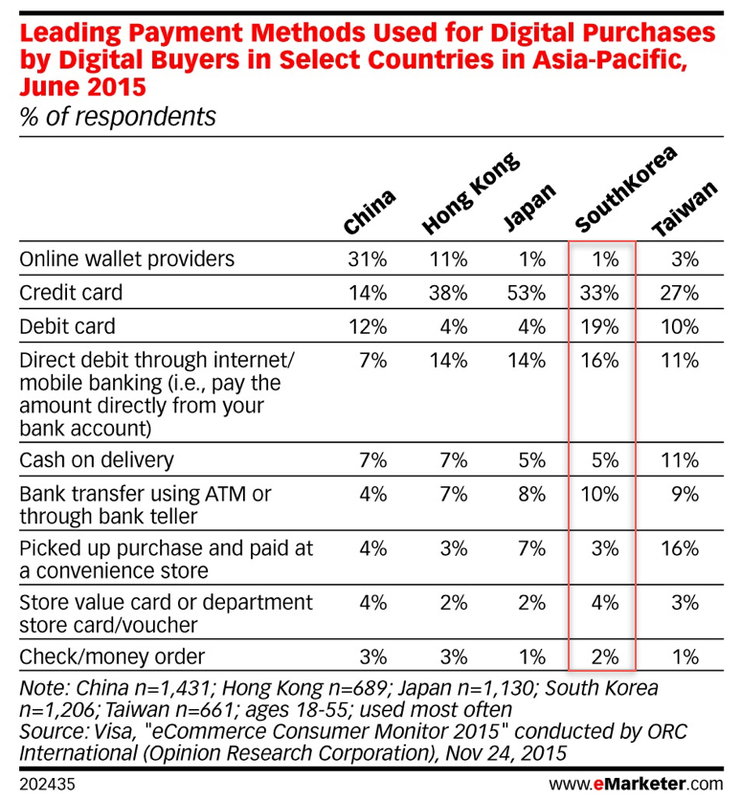 Update in Mar 2019: since this post is quiet old (published in 2016), I wrote an updated post here 10 key facts about South Korea e-commerce landscape 2019. 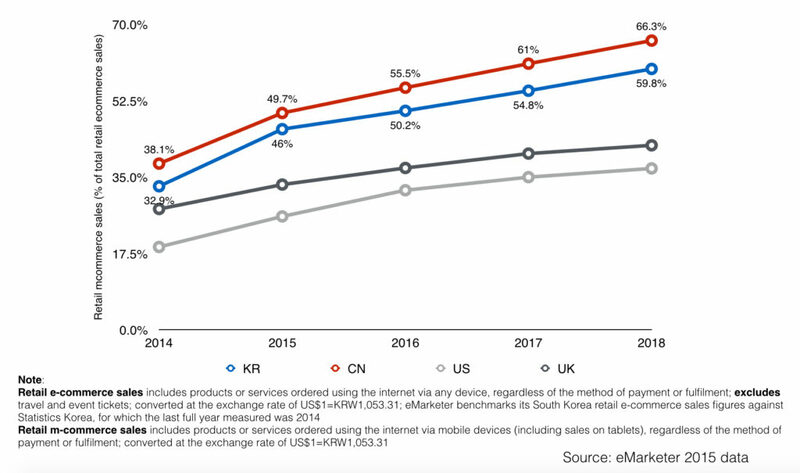 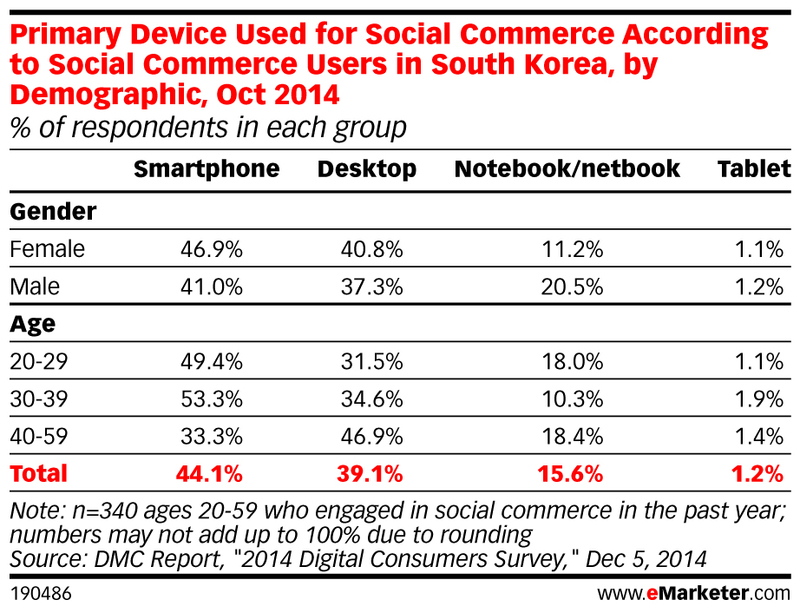 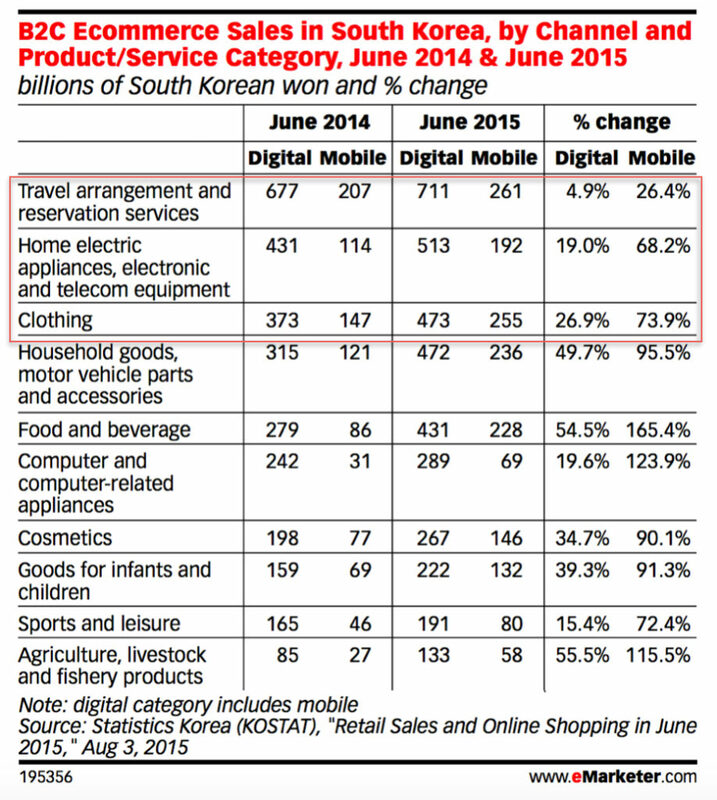 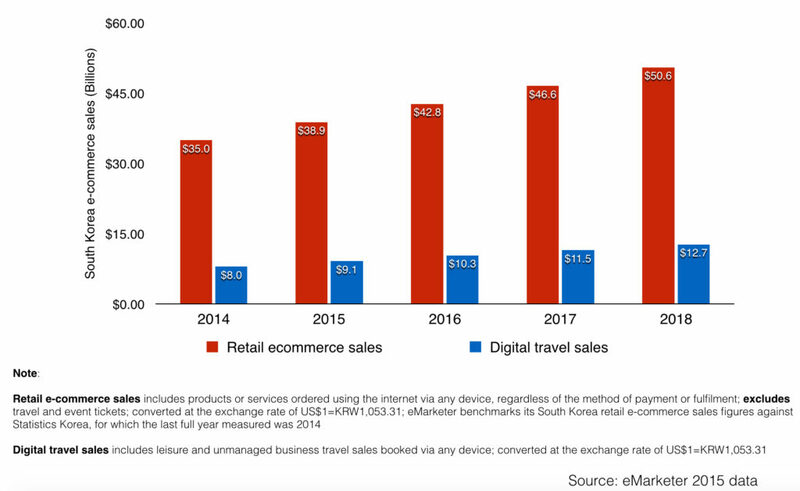 As you could see from the chart above, in 2016, about half of all retail e-commerce sales in KR would happen on mobile devices. 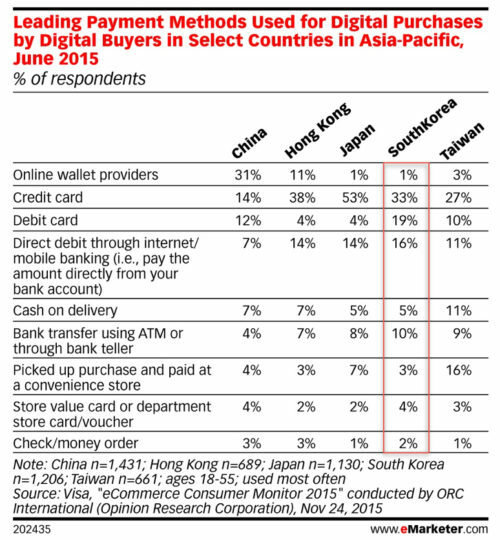 This is the highest rate worldwide, behind China only. 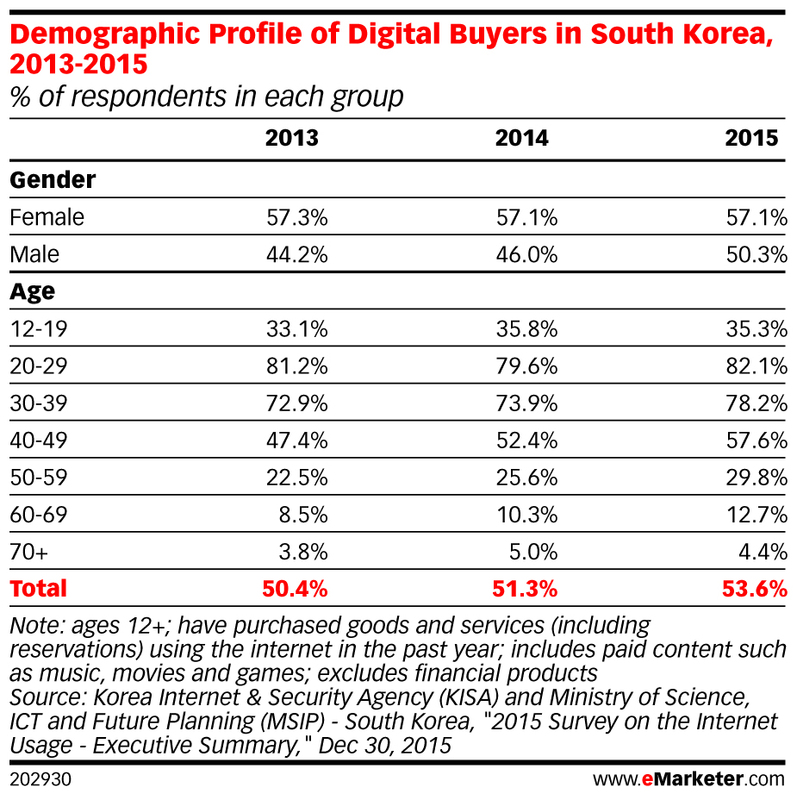 Methodology: Data is from the December 2015 Korea Internet & Security Agency (KISA) and Ministry of Science, ICT and Future Planning (MSIP) – South Korea report titled “2015 Survey on the Internet Usage – Executive Summary.” 63,218 respondents ages 3+ from 25,000 family households in South Korea were surveyed face-to-face via home visits during August 1-October 15, 2015.